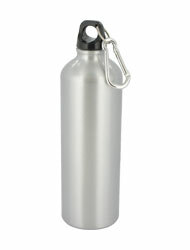 The Trek aluminum water bottle is a safe, environmentally friendly option for on-the-go hydration. 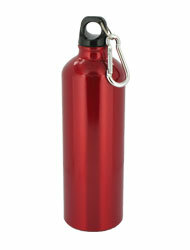 The top offers a caribiner so that you can attach the water bottle to your backpack or belt for easy access. 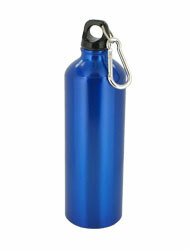 This water bottle is surprisingly durable in spite of its lightweight construction.